Dear Editor, I read the publication by Dieng et al. with a great interest (Dieng et al. 2017). Dieng et al. 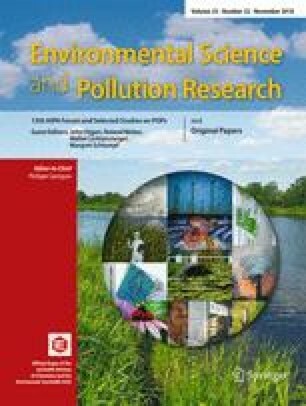 mentioned that “coffee and its residues have embryocidal activities with impacts that are carried over onto the adult lifespan of dengue vectors” and “reutilizing coffee waste in vector control may also represent a realistic solution to the issues associated with its pollution (Dieng et al. 2017).” This finding can support the previous observation by Satho et al. (Satho et al. 2015). In fact, biological control of mosquito vector is very interesting and it can be useful for management of arboviral diseases. Nevertheless, there are some interesting points that should be concerned. First, the possible unwanted effect of coffee crude extract to other living things including to human beings has to be well assessed. Of interest, Zuskin et al. found that “inhalation of green coffee extract causes significant bronchoconstriction in selected healthy volunteers (Zuskin et al. 1991).” It is also questionable whether the crude exact can be ecological toxic or not. Second, in the area with high consumption and growth of coffee such as South America, there should be many crude extracts of coffee but there are still many problematic mosquito vectors in that area. There might be a low stability of the crude extract that makes it useless in vector control.